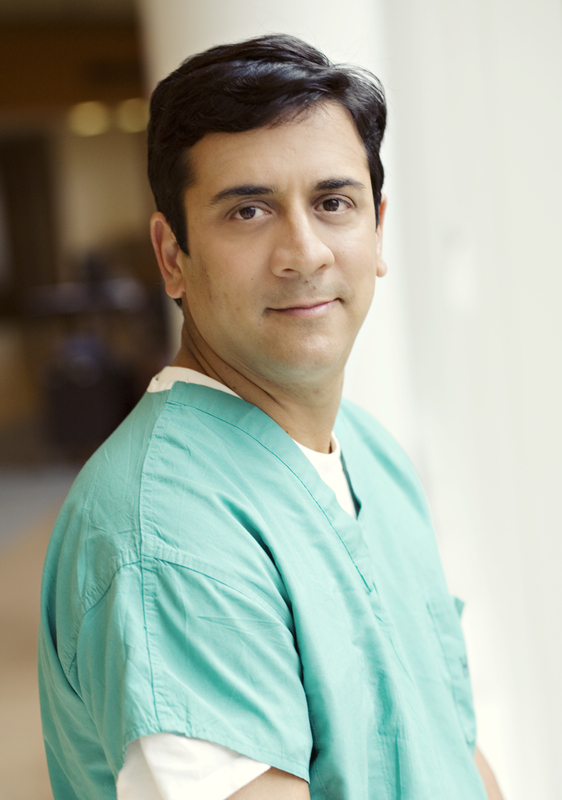 Raj S. Pruthi, M.D. is Chief of Urology and Professor of Surgery/Urology at the University of North Carolina at Chapel Hill. He also serves as disease group leader for the Genitourinary Oncology program at the NIH-sponsored Lineberger Comprehensive Cancer Center at UNC. He is a graduate of Stanford University and received his MD degree from Duke University School of Medicine. Following medical school he completed his residency at Stanford University with two years as a general surgery intern and resident, and five years as a urology resident. During that time he also spent one year as a fellow at Stanford University specializing in prostate cancer in the Department of Urology. His clinical and research interests are in urologic oncology including bladder, kidney, and prostate cancer, and has published over 130 peer review publications in theses areas. Research interests include the study of inflammatory pathways in the development and treatment of prostate, bladder, and kidney cancers as well as the pre-clinical and clinical study of minimally-invasive treatments for urologic malignancies including the application of laparoscopic and robotic technologies. In addition to serving as a consultant and reviewer for numerous publications, he is also on the editorial board for several journals including the Journal of Urology, British Journal of Urology, World Journal of Urology, Prostate Cancer and Prostatic Diseases, amongst others. Dr. Pruthi currently serves on a number of institutional, regional, and national teaching and professional capacities, and is currently a member of the American Urologic Associations Guidelines on the Management of Non-muscle Invasive Bladder Cancer, the Bladder Cancer Guidelines Committee of the International Consultation on Urological Diseases, the ABU/AUA Examination Committee, the American College of Surgeons Advisory Council and Chair of the Surgical Forum for Urology, and the Board of Directors for the Southeastern Section of the American Urological Association.